How we eat, and the foods we choose, impact on our environment, and it is increasingly being suggested that there needs to be a significant shift in typical eating patterns if we are to meet global climate change targets. In our work promoting eating well from pre-conception to five years we make suggestions of how to eat well in line with current public health nutrition guidelines, but also encourage a more plant-based diet and a diet without ultra-processed foods. 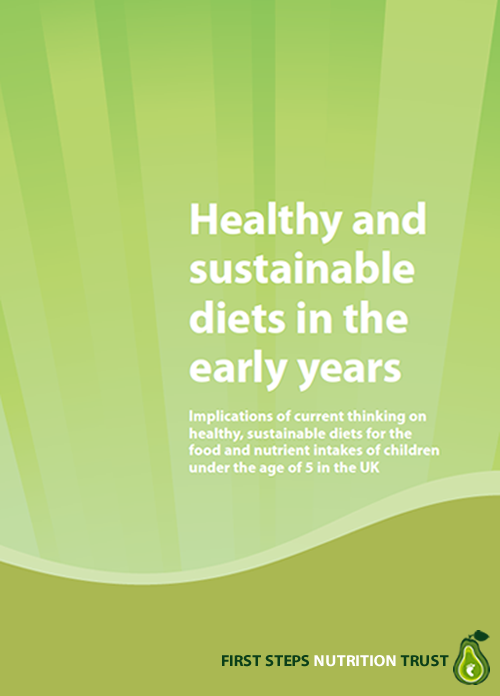 This report examines the progress that has been made towards defining what a healthy, sustainable diet might look like for developed countries, and in particular examines the implications of this for children under the age of 5 years in the UK. It summarises current thinking on healthy and sustainable diets and current advice on eating sustainably and the potential issues this might raise for supporting young children to eat well in the UK.